Often, whilst out driving, the kids will ask questions. Oh, so many questions. Recently, they asked what that sign meant. It struck me that it’s a really odd sign. It depicts a old large-format film camera with bellows attached – a bit like a Brownie and to a person of a certain age, it’s immediately apparent that it’s a camera. To the kids? No idea. They’ll learn it as part of their driving test, of course, but it’s still weirdly anachronistic. What makes it even stranger is Britain’s first speed camera was switched on in 1992. Not that long ago surely that the sign needed to depict a vintage camera? Have you noticed any other weird signs? 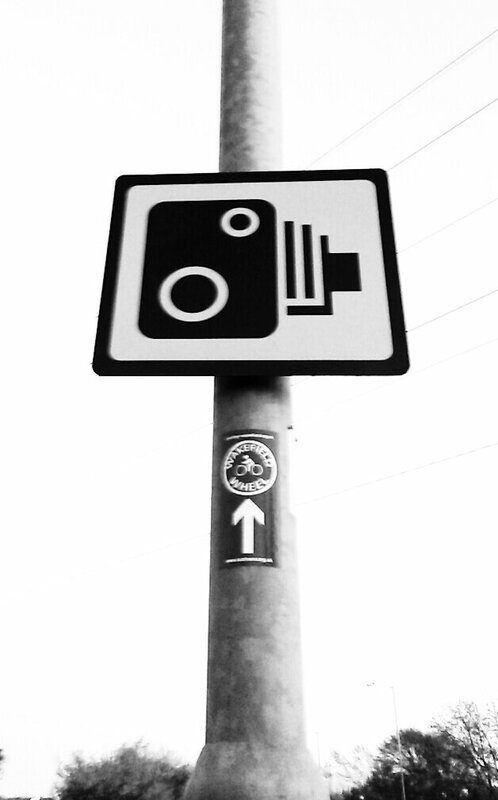 Do you know why the speed camera sign features such an old camera? 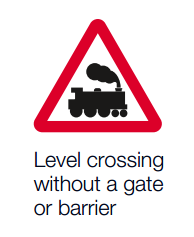 The sign for a level crossing without a gate or barrier features a steam train. Now, much as I adore steam trains (quite a lot, really), when was the last time you saw one? 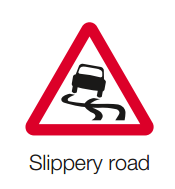 Slippery road. This one has always troubled me. The tyre marks crossing over just aren’t possible! And finally (as they say on the news), I discovered this. 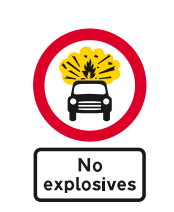 No explosives. Good advice generally, I’d have thought. Do we really need a sign for it? Good observation. Without knowing what it was, you wouldn’t know at all. Perhaps it’s because I haven’t had enough coffee this morning, but when I read “speed camera” I thought you meant a camera that takes pictures really fast. I also thought that the sign was just some weird incongruity meant as art and not actual public information. Then when you said your children would learn about it as part of their driving test I thought “why on earth would they learn about something like *that? !” Months passed, seasons changed, and eventually I got to the part where I understood you meant a camera that takes pictures of speeders. We have those here, of course, but I’ve never actually heard anyone talk about them. .. they are probably called speed cameras. I really shouldn’t try to “internet” first thing in the morning. I’m sure they have a more formal name, something like ‘traffic enforcement cameras’, but over here they’re just known as speed cameras. They’ve not used film for a long time though!